Porcelain covered jar. The cover tapers to a long, cylindrical handle with flared top. 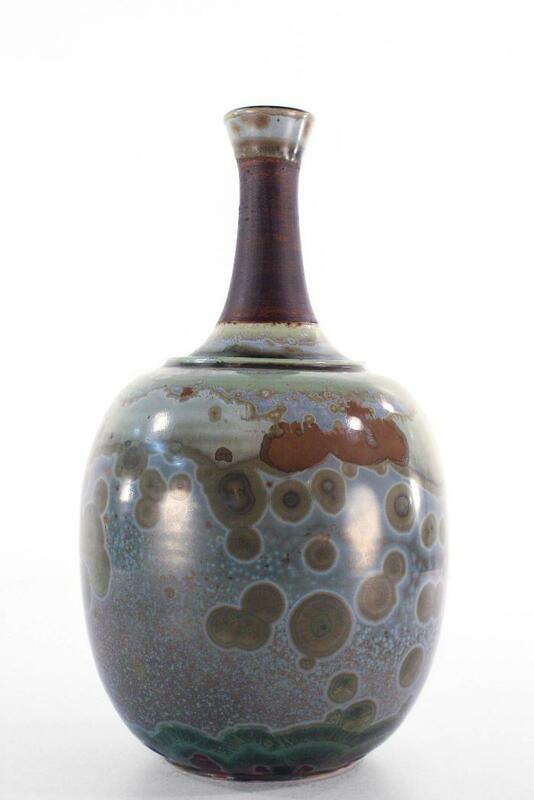 Green-blue glaze is used overall with brown on the cylindrical handle.